The Kansas City Chiefs defense has lost its leader. While the Kansas City Chiefs beat the New England Patriots 42-27, the Chiefs lost a major part of their team last night. After being carted off the field with a suspected Achilles injury, the team confirmed today that the worst-case scenario has taken place. 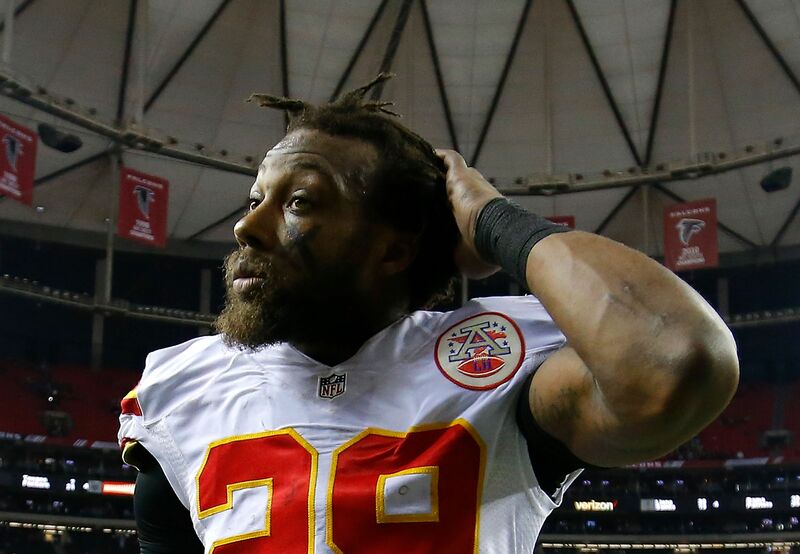 Eric Berry has ruptured his Achilles tendon and is likely done for the season. The Chiefs looked incredible last night. They put up 42 points on the reigning world champions and made their future Hall of Fame quarterback look pedestrian. Tom Brady was held without a touchdown. A huge part of that defensive effort was Eric Berry. Eric Berry and the Chiefs just signed a long-term deal guaranteeing the All-Pro safety would be with the team for six years. He will miss the rest of his first year of the new deal. Berry was the 2015 Comeback Player of the Year. He lit up the NFL in 2016, as well. He earned himself a franchise tag, another franchise tag, and a long-term deal. Berry did this all after beating cancer. Chiefs fans have little doubt that Eric Berry will return. He may miss this year, but he has five more years on his contract and a history of overcoming adversity. He will be back and likely better than ever.